Save with this value-priced kit! Includes a Champion Desk and Maximo Chair. 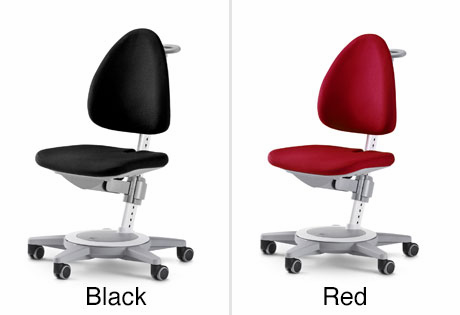 Fully adjustable seat height, seat depth and backrest height offer ergonomic comfort at every age. Save with a bundle! These desk and chair combinations include everything you need to help your child succeed this school year. 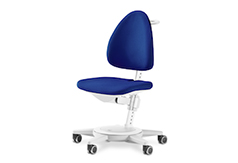 This Moll desk and chair combination includes the Moll Champion Desk and Maximo Chair. Designed to grow with your child, both the desk and chair adjust to your child's size. See all Maximo Chair colors. 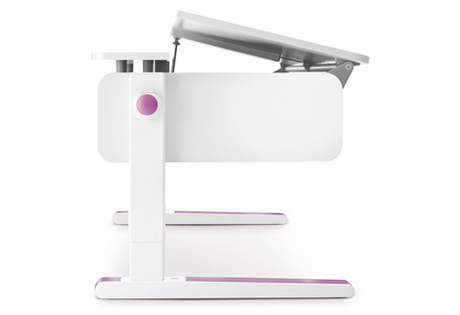 A fun yo-yo style pulley makes it easy for your child to adjust the desk to the best height. 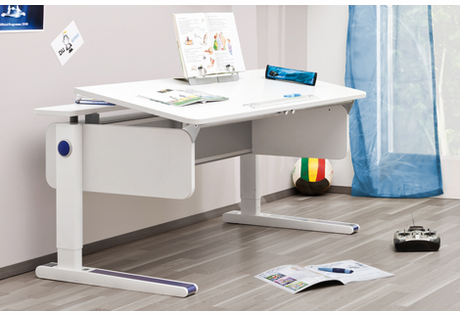 The adjustable desk design ensures the same ergonomic benefits for your child from preschool through high school. 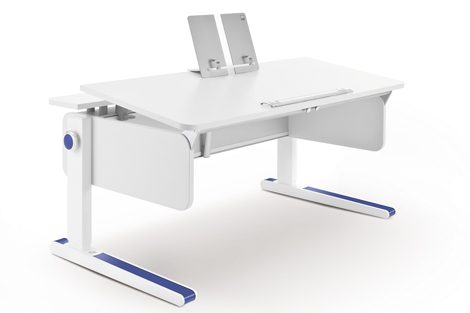 Right Up Split Top: A tilting work surface on the right and a stationary surface on the left and back of desk. Ideal for right handed children. 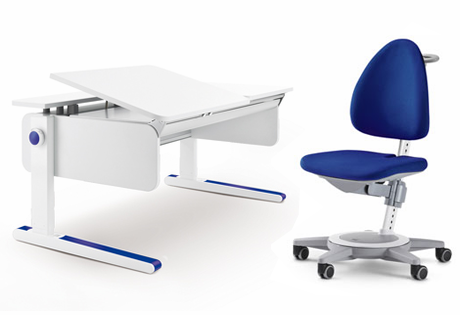 The desk includes leg runner covers and yo-yo pulley covers that match the Maximo Chair. 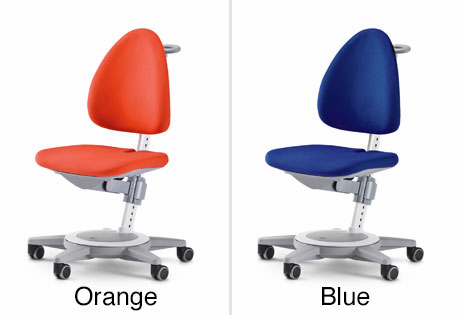 Your child can easily change the colors anytime. The Champion Desk includes leg runner covers and yo-yo pulley covers in eight colors: blue, red, orange, green, pink, black, white and silver. 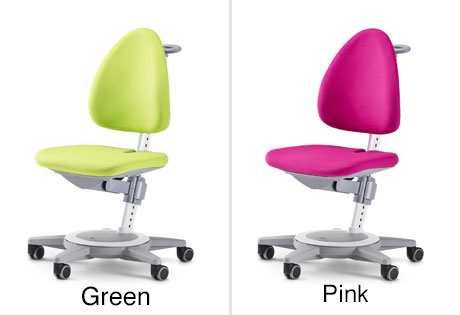 Available in Black, Blue, Galaxy, Green, Grey, Orange, Pink, Red, Rose, and Wonderland (see all colors). I had been searching for an ideal desk for my 4 year old son and I'm glad that I found Moll desks. I bought the champion desk and the chair. The set came packaged really nicely. I was able to put all pieces together without any difficulty. High quality and perfect design made to last for years to come. Easy height adjustments for both the desk and the chair that promote good sitting posture while my son is reading and writing. Although it's a bit expensive, it worth every penny! I had been researching an ideal desk for my 4 year old son and I'm glad that I found Moll Desks. I bought the desk and the chair. The set came really nicely packaged and I was able to put all pieces together without any difficulty. High quality and perfect design made to last for many years to come. Easy height adjustments for both the desk and the chair promote good sitting posture while my son is reading and writing. Although it's a bit expensive, it worth every penny! I purchased the Champion desk, Scooter chair and drawer after scouring the internet for a desk that wouldn't be outgrown in a few years. 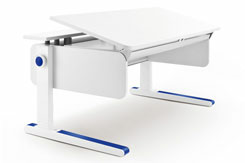 There were less expensive products but none that compared with the quality and versatility of the Moll desk and chairs. I went with the Scooter over the Maximo chair because it was bigger. The quality is excellent. Seems like it will last for many years. The only slight negative is that the desk doesn't come with any storage. I think the drawer should come with the desk and not be a separate accessory. I had been researching for the perfect desk for my 7 year old daughter and both me and my daughter love it. Excellent quality and design! we bought this for our 6 year son. he loves the desk. 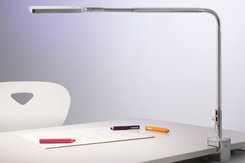 we like the fact that the height is easy to adjust. nothing to complain about. good desk for kids. We have this combo for more than 1 year, it works very well, the kids like the chair very much, they use it as a stroller, they have fun, I am going to buy the next set for the little sister! We bought it for our daughter as a christmas gift. She has had it now for little over a year now and she totally loves it. She uses everyday doing her homework, project, etc. We are planning to get another set for my 2nd daughter who is turning 2 next year. Highly recommend it to anyone. 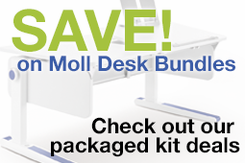 I was not confident before I received Moll Desks products. However, it turned into a very good experience to finish the assemble in a few hours. You just need to follow the manual and use the easy-to-use tools, you will have no problem with it. The most of amazing thing is that the quality on materials is not beatable. My daughter loves it!!! We have ordered this combo bundle with a few extra desk accessories. The service was excellent and the order was shipped extremely quickly. The product is superb - excellent quality and craftsmanship. The attention to detail is what sets this product apart. It is an expensive product but is worth all the money and is a great investment since it adjusts with the child's growth. excellent package to have a desk and a chair. My son loves them so much. My wife and I purchased this desk and chair for my daughter. By all means this is not a cheap purchase for most people and we contemplated many other options from various retailers. However, after extensive research and actually seeing the quality and built of this desk and chair in person at the Moll retailer in NYC we were convinced that this is the right purchase. Upon receiving the shipment, there were several boxes. At first we were a bit apprehensive about the complexity of assembly. But after reading through the included assembly manual, it only took about 1 hour to put the deck and chair together. The quality and build of the Moll desk and chair are over and above any children's desk and chair you will find in Home Depot, Target, Office Depot, etc. You seriously get what you pay for. My daughter uses her Moll desk each and everyday. She loves the adjustable table top so that she can read, work on our laptop, type on her key board and most important, do her daily homework. Likewise, the large tabletop reduces many clutter and enables many essential items (i.e. desk lamp, computer monitor) easily placed at the right location. Overall, this was a very worth while purchase and for what you pay for you are getting very high end quality.